There has been a castle of some description at Chilham since the late 7th century, when Wihtred, King of Kent, signed a treaty here. Of that early fortresses little is known. There was a stone-built castle here at the time of the Norman invasion, and a much larger castle centred on a stone keep was built in 1171 by Fulbert de Dover, who used Henry II's royal mason as his architect. The keep is remarkably complete, missing only its parapets. Royal account books show an expense of 400 pounds, suggesting a modestly sized fortification. based on the amounts spent on much larger fortresses that have survived. The octagonal plan is unique in England for this period, as octagonal towers did not become common until well into the next century. Entry was by way of a projecting stair turret. Unusually for the time, the keep was not erected on a motte, or mound, but on flat ground, and protection was provided simply by a low stone wall called a chemise. 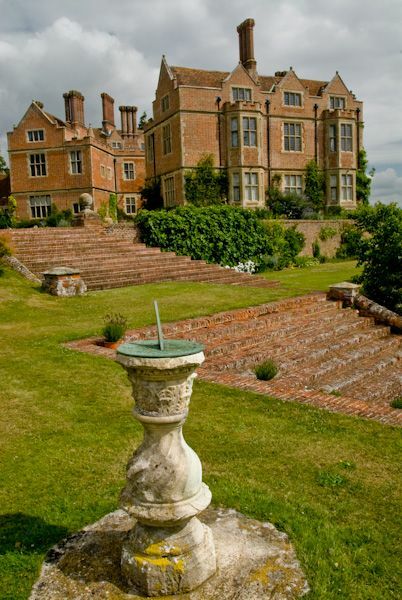 King John stayed here in the early 13th century before he granted Chilham to his illegitimate son Richard, who married the Dover family heiress. The castle was briefly occupied by the Dauphin of France in 1216 as part of an abortive attempt by rebellious British nobles to place him on the throne. It then passed through several owners including the Earl of Atholl and the Roose family. Sometime in the late 13th century, a heronry was established at Chilham, and the heronry was maintained for over 700 years. An ancient tradition says that ill fortune will fall on the owners of Chilham Castle if the herons do not return to nest on St Valentine's Day. The keep is all that remains of the original castle, tucked in behind an early 17th-century house created by Sir Dudley Digges. The destruction of so much of the medieval fortifications was not due to war, but the actions of Sir Thomas Cheney, Treasurer to the King's Household under Henry VIII. Cheney ingratiated himself with King Henry by making his own house at Shurland available for Henry to rendezvous with Anne Boleyn. 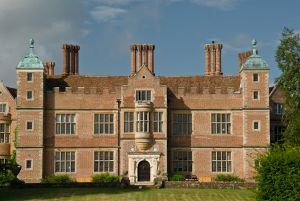 The king reciprocated by granting Chilham to Cheney in 1542. Unfortunately, Cheney viewed Chilham as little more than a source of cheap building material for his house at Shurland. He pulled down much of the medieval castle and carted away the stones to rebuild his other house. The castle - what was left of it - passed in time to Sir Dudley Digges of London. Digges did not try to rebuild the medieval fortress but instead created a grand house in the Italian Renaissance style which was then the height of fashion. The design is somewhat peculiar; the house is laid out on a hexagonal plan, with hexagonal buttresses making the whole ground-plan into a rather jagged letter C. Tradition says that the design was by Inigo Jones, but this is open to debate. Inside, several of the original Jacobean features remain, including the grand staircase, several fireplaces, and two ceilings. The staircase provides a ceremonial passage to the first floor Great Chamber. Some of the Jacobean plasterwork is outstanding, with detailed strapwork designs incorporating the Digge emblem of an eagle. In one place the eagle is showing grasping a sheaf of corn, the symbol of his wife's family, the Kempes. It is perhaps a statement of intent; Sir Dudley stating in symbolic terms his claim to his wife's family's wealth. One of the more unusual historic features is in the upstairs television room; a modern concession. The panelling here is thought to have come from the Canterbury house where playwright Christopher Marlowe was born. 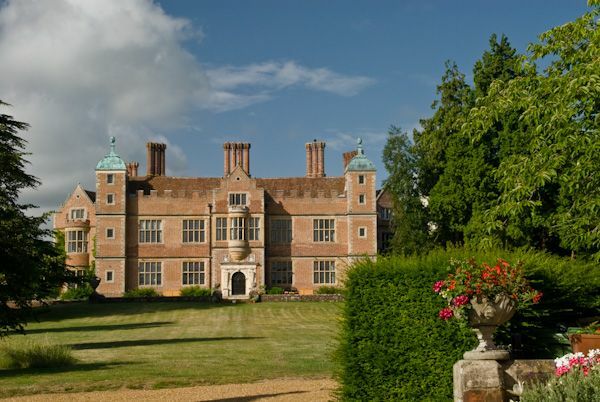 The house was remodelled several times, making it into a rather intriguing mix of architectural styles, ranging from Regency to Victorian Gothic, to a peculiar Victorian interpretation of the original Jacobean style. 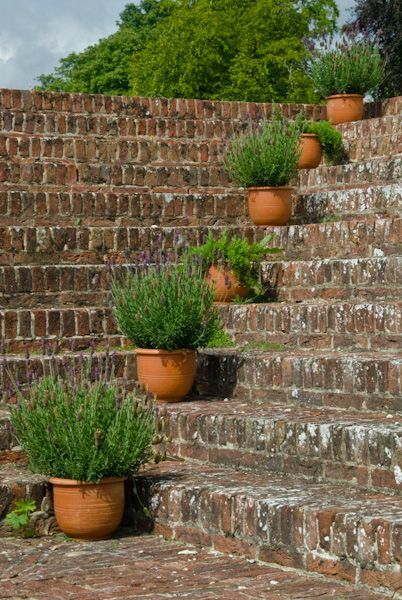 The castle is set in 24 acres of lovely gardens, surrounded by a further 300 acres of parkland. 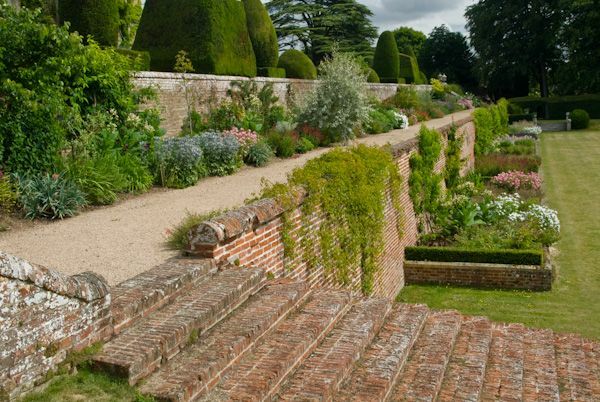 The most prominent feature of the garden is the long set of terraces designed for Digges by John Tradescant the Elder. A long avenue of chestnut trees strikes out from the castle, on a line which leads through the village square and into the churchyard. It also follows the line of the old trackway now know as the Pilgrim's Way. It is sometimes claimed that the 18th-century parkland at Chilham was landscaped by Capability Brown. This is not strictly true; Brown was employed at Gatton Park in Surrey, then owned by the brother of Chilham's owner, Robert Colebrooke. It seems likely that Robert Colebrooke used ideas he saw at Gatton Park, for when a later owner finally did persuade Brown to come to Chilham in 1777 the famous landscape designer said there was little to do here. Presumably, his style had already been implemented. 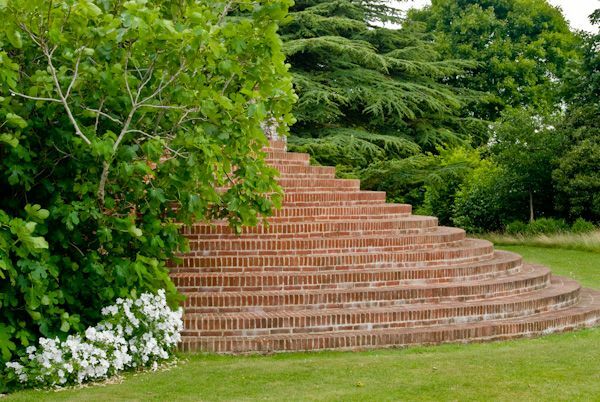 In any case, the grounds beautifully complement the house, with long vistas opening over a stretch of open water, and formal topiary near the house and castle. It is impossible to talk about the castle without mentioning Chilham village, with is one of the prettiest villages in Kent, full of timber-framed medieval and Jacobean cottages. The village square is one of the prettiest I've ever had the pleasure of seeing; the sort of place where time seems to have stood still for centuries. I highly recommend a visit to Chilham Castle and its delightful village.